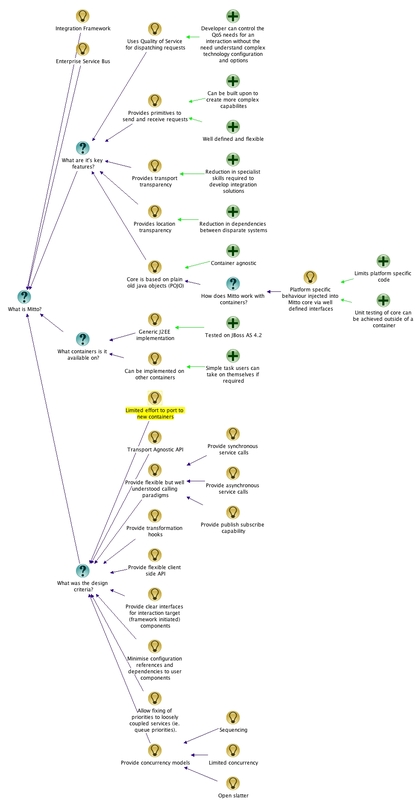 The diagram below give a quick overview of Mitto. Mitto is an integration framework that uses Quality of Service (QoS) as it’s primary focus for dispatching requests. It provides the primitives required to send and receive requests within an integration solution. Another aspect of Mitto is to provide a transport and location transparency. This means the caller isn’t aware of exactly what transport is being used to transmit the messages, therefore not needing to be involved in the details of programming these technologies, and also has no details of where the request is being executed, reducing direct dependencies between disparate systems. The Mitto framework is developed in pure POJO and therefore is container agnostic. 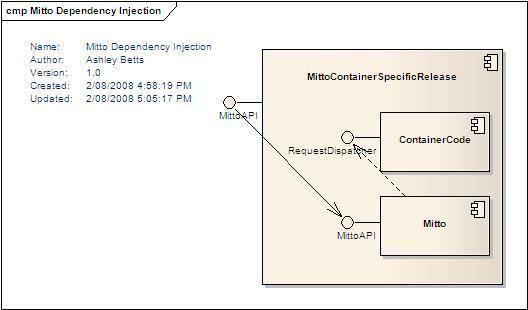 Container specific behaviour is accessed via thin layers around Mitto. At this stage a generic J2EE implemenation of Mitto is available. Other implemenation will be considered as new technologies or significant container features are made available. As this is a simple task users can take the task on themselves if required.